Lee Child’s Jack Reacher series has been a favorite of mine for over 10 years. If you are new to the series, you can get the basics in my Jack Reacher 101 post. 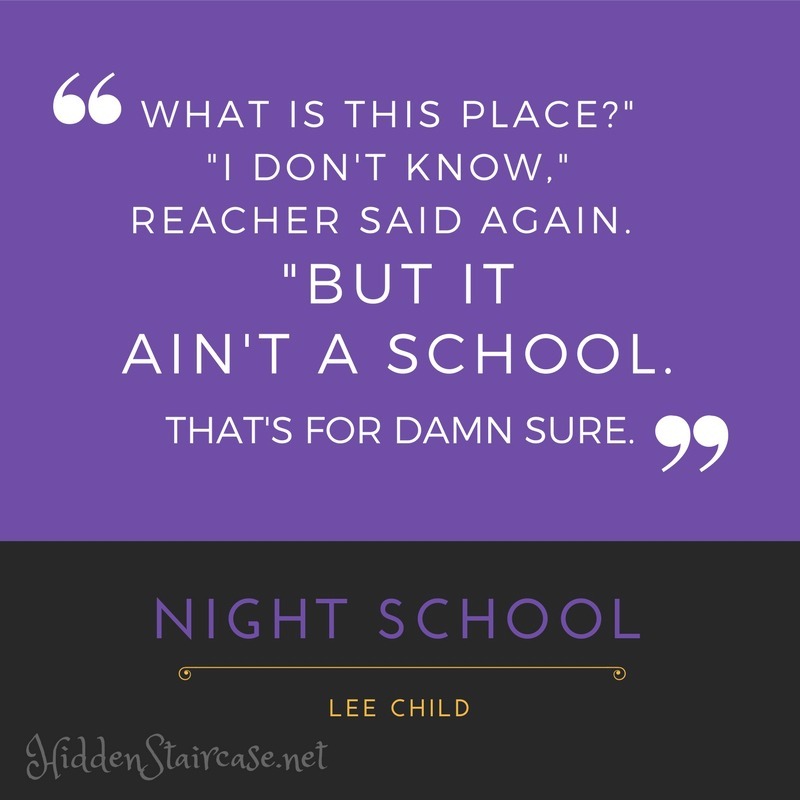 Night School is a little different than the typical Reacher formula we’ve come to know and love. Mr. Child takes us back in time twenty years to 1996. (This is according to the book summary. I can’t find a year in the book anywhere, but I could have missed it.) Reacher is still in the Army (very late in his career I think). He’s fresh off of a secret assignment that’s resulted in a(nother) Legion of Merit medal. He is quickly sent on his next assignment, to participate in a course for inter-agency cooperation. Reacher thinks one step ahead as always, and quickly realizes the assignment isn’t as it seems. The novel escalates from here. It turns out there is some kind of large money deal going down in Germany. Something between Saudi Arabia and an American. But that’s as much as the U.S. Government knows. It’s big money, and it could be anything. Whatever it is, it’s not good. If you’re new to the series, don’t fret. You can jump right into this novel. While it is a twenty-year-old adventure, the story is standalone (as with all Reacher novels) and you don’t need any backstory to follow along and enjoy the ride. As always, Night School is a fast-paced page turner. Mr. Child is good at giving just enough information to keep the reader guessing and the story moving. Reacher has the right mix of intellect and street-smarts to solve the puzzle and fight the bad guys along the way. It was fun to see Jack Reacher at his prime in the Army. Hoping Mr. Child gives us this opportunity again in the future. ← The Diviners. A mini review. Thanks for this review; Lee Child is on my list—I have yet to read his books, and I admit that must sound odd, too.